Rachel was looking for a Denver company that could build a beautiful website for her that has organic SEO properties built into it. We’re proficient in both local, organic, SEO work and designing and building custom websites, so we were naturally a good fit. She had really great ideas we incorporated into this website. For example, she wanted a portfolio with custom taxonomies that she could use to tag her portfolio pieces to make it easier for her clients to search through. This is not only a great idea from a usability (UX) design standpoint, but also really helpful for search engines. So, we built these into the WordPress platform in a way that she could easily add and edit these. 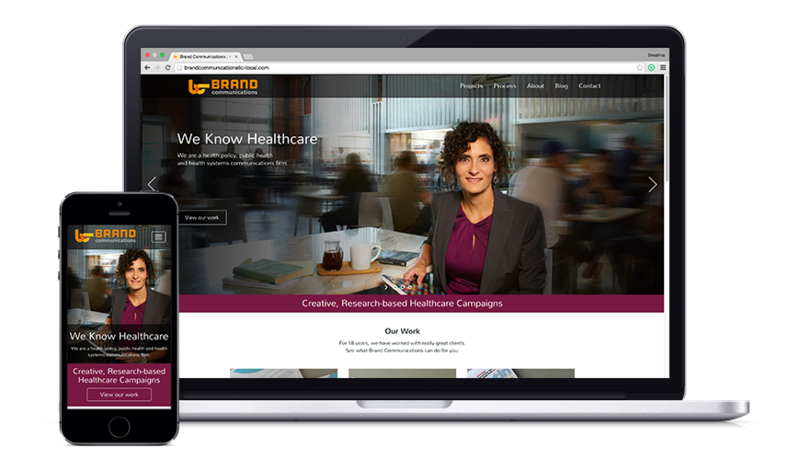 She primarily does content writing for healthcare providers and has an impressive portfolio of clients to show off. Since user’s scan the web, instead of reading word-for-word, we designed her portfolio to be more visual with photos and mini-photo galleries. She also has the ability to provide a writing sample and writing sample download download for each piece in her portfolio. We believe in giving our clients the ability to edit their own websites. So we enabled her to have more control over the content, by building in the ability for her to choose what order her portfolio items display on her home page. We’re always looking to help new clients showcase their companies better on the web. We offer a free 1-hour web design and development consultation. Get in touch to see how we can help your company be more successful.